Goa, one of India’s most favoured holiday destinations, is best known for its scenic beaches, age-old churches and a nightlife that rocks. Every year, the state witnesses a great footfall of tourists, both from across the country and abroad. However, if you are interested in experiencing the pristine beauty of Goa far from the madding crowd, Divar Island is the place to be. 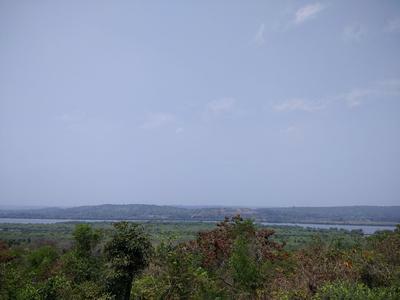 Located on the Mandovi river, Divar is derived from the word Dipavati, which in Konkani means “small island.” It is roughly 10 km from Panjim, the capital of the state. You can reach the island via Ribandar Ferry off Panjim or Old Goa Ferry. The Narva Ferry, which is close to Bicholim and Aldona-Calvim Bridge, can also take you there. Steamers leave these docks every 15 minutes and rides run frequently from roughly 7 am to 8 pm. I took the ferry ride from Ribandar Ferry and it took me 10 minutes to get to Divar. The ride is sponsored by the state government and free for everyone. There is a nominal fee to be paid if you bring along your two-wheeler. This facility is a bonus for tourists as it enables you to take your rented bike or bicycle and explore the island on your own. The ferry ride is an enjoyable experience, as you watch the coconut tree-lined mainland growing smaller in the distance. It is also a great ground for interaction with locals, most of whom commute daily to and from the island for work. A masterpiece of the Portuguese bygone era, Divar Island comprises three villages, namely, Divar or Piedade, St. Mathias or Malara and Naroa. Its history goes back to a time when the island was home to large numbers of the Hindu population in Goa. 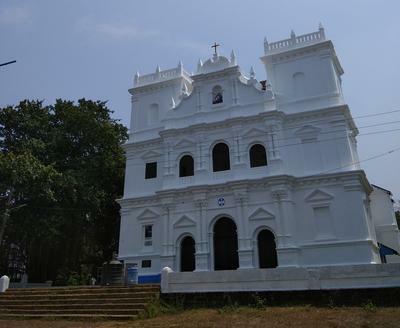 However, when the Portuguese began religious persecution (the Goa Inquisition era), the residents fled to other parts of Goa, leaving behind the ruins of temples and religiously significant monuments. Reportedly, the spread of an epidemic was another reason causing the abandonment of Divar. Notably, the island was one of the main places where the Portuguese started mass conversions of Hindu Brahmins. The vestiges of colonial influence can still be found in the quaint, cosy houses with tiled roofs. Amid the greenery, the hamlets are a pretty sight. 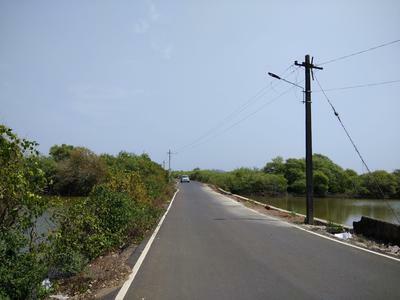 If you approach from Ribandar Ferry, you will reach Divar or Piedade, the largest village. From there, you can take the Kadamba shuttle bus to Our Lady of Divar High School. However, you may have to be a little patient as the bus is not that frequent. Alternatively, you could hitch-hike or ride your own bike to the place. The journey is fascinating, with paddy fields, small lakes and wooded hills in the distance. The island is quiet and serene, unlike the “touristy” Goa popularized by the media. One of the main reasons behind this is the state policy that prevents any property on this island to be sold to a non-resident of Divar. vantage point. The white majestic church inspires a feeling of awe. However, it remains closed on most days. So, you may not be able to go inside the church except on a Sunday morning when mass is held. There is a cemetery close by with remnants of Kadamba architecture. On the hilltop, there is also a beautiful temple with a couple of shrines. Peace and solitude reign here and you can sit inside the temple or on the porch and enjoy the bliss. It is also endearing to see Christian and Hindu cultures co-existing in such close proximity. The roads in this sparsely populated island are in good condition. So, it is an absolute delight to travel, be it on a four-wheeler or two-wheeler. With plenty of greenery, lakes and vast expanses of open land, you will find many an opportunity to take great photos. It is a fantastic place for roaming around and taking in the scenery. Along the river’s edge, are mangroves and dense grasslands, which add to the diversity. Among the other villages, Naroa was once home to the famous Saptakoteshwar Temple dedicated to Lord Shiva. It still has Naroa Fort and Koti Tirth Tali, which was once reportedly the site of 108 temples. Incidentally, the Saptakoteshwar Temple was built by the Kadamba dynasty around the twelfth century. 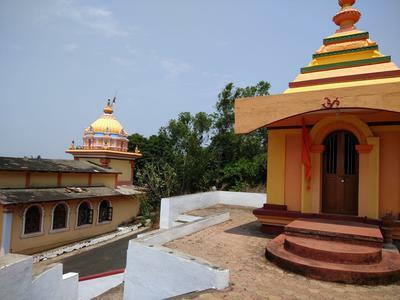 When Kadamba was conquered by the Bahmani Sultan Allauddin Hasan Gangu in the fourteenth century, a number of temples were destroyed in Goa, including the symbol of Shiva. Later, King Harihararaya of Vijayanagar defeated the Bahmani Sultan's troops in Goa and reinstated the glory of many temples, including that of Saptakoteshwar. However, it was again demolished by the Portuguese in 1560 and a chapel built in its place. The ideal time to frequent the island is early morning or evening, as afternoons can get quite hot. If you’d like to stay here to experience the old Goan way of life, there are a few guest houses. Though there are several local pubs all over the island, restaurants are few. Two of the popular festivals in Divar are Bonderam and Potekar. Bonderam is a mini-carnival which takes place on the fourth Saturday of August followed by music, fun and dance. Potekar is similar to Halloween. It is celebrated three days prior to Lent. On this day, locals frequent the streets wearing handmade masks and bells. Large numbers of people attend these festivals from all over Goa. The people here are friendly and helpful. I was given a free bike ride from the dock to the church. And on the way back, a worker at the temple graciously guided me to the bus stop near the school. The locals were very cooperative. Their warmth was especially endearing to me as a solo traveller. Divar is a treasured part of Goa, in terms of culture, flora and fauna. For people looking for loud fun and activity, it is not the ideal place. However, if you are a lover of nature and explorer of roads not taken, this river island is a gem. An offbeat paradise and perfect retreat for the soul, it is a must-visit if you want to see more than just Goa’s beaches and shacks.